On a call today with a producer, I was reminded just how important every step of the writing process is. When I work with writers, we’re very often talking about big-picture notes and fixes. How to fix a lagging Act 2. How to build in stakes that will make the audience care. How to make the character arc showcase the story’s theme. Writers tend to seek me out for help with those kinds of things, and then handle the fine-tuning and polishing on their own. The big, foundational stuff we work on is often what writers think of as the heavy lifting. And the fine-tuning and polishing feels smaller, more manageable, and perhaps less vital to spend time and attention on. Which brings us back to today’s phone call with the producer: He was insisting on a polish pass before submitting a script to a studio. Why would he care about nitpicky things like word choice or action line breaks? By the time a producer or exec gets your script, the vast majority of the story stuff should be working. That’s expected. You already know that. But that polish – that last 5% of effort – can make all the difference in the read. That’s the part that makes the first impression. The concept probably got you in the door. The script as a whole has to be solid and able to compete on a professional level. And the polish sells your product. If the read is clunky or hard to get through? 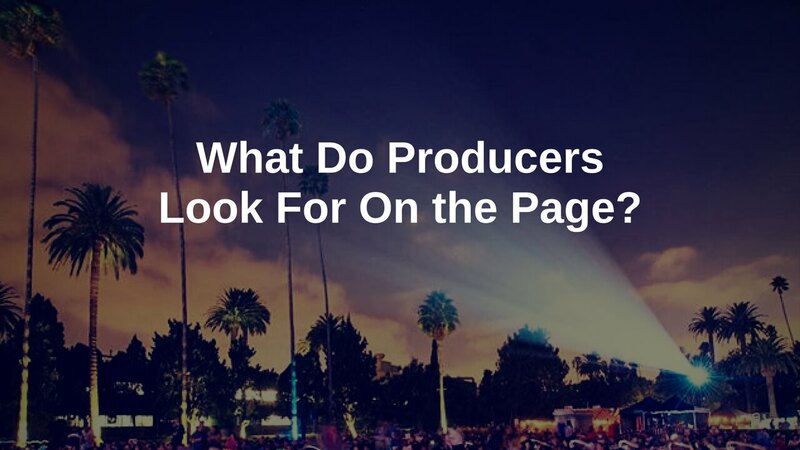 That producer or exec probably won’t make it very far into your script before giving up. Your cool concept and carefully orchestrated story won’t matter. A fast, enjoyable read also makes it easier for anyone to pass your screenplay along, up the Chain of Yes. This industry runs on favors. Passing along a strong script that’s a great read? That allows the one giving the script to do a favor. But passing along a script that’s a slog – essentially asking someone to do more work? That’s asking for a favor. Everyone wants to be the one owed the favors, not the one owing. So make sure your script is valuable currency. First a caveat: As we talked about in the Rewrite Strategy Session, it’s important not to polish until it’s time to polish. You want to worry about the big, foundational pieces first. But once the rewriting is done and you’re getting ready to polish your screenplay, what do you actually do? It’s easy to tweak words and make line edits. How do you make that tweaking effective? Clarity, first and foremost. The writing has to clearly convey what is happening, but also the meaning of what’s happening. We really have to get why a moment, a scene, a line of dialogue is on the page. Don’t overwrite action. People who read a lot of scripts often skim action lines. So the ones that make it into your script should be chosen deliberately and with purpose. Each one needs to earn its place on the page with a real and important function. Everything else is clutter. But do choreograph the flow. Use CAPS and mini-slugs – again, deliberately and with purpose – to move the reader through scenes. Done well, this conveys a sense of the flow of images in the movie. Let conversations happen. Unnecessary action lines interspersed in a conversation are doubly problematic. They not only clutter the read, but also interrupt the conversation’s natural momentum. Let your dialogue shine. Don’t overwrite actor direction. The actions and dialogue as written should do most of the work conveying the story. Describe behaviors more than emotional reactions. Use adverbs sparingly and leave room for actors to do what they do. Transition between scenes. At a minimum, transitions between scenes should make sense and not be confusing or jarring (unless that’s a deliberate effect). Really effective transitions also create flow through the story. Remember you’re telling a story. You have to show up on the page and spin that yarn to the people gathered around your campfire. That’s the screenwriter’s job. The goal of a good polish is to create a fast, exciting, enjoyable read, so the busy reader — whether a producer, agent, manager, or assistant — can quickly see the potential of your screenplay. Is it a viable movie (or TV) project? They’ll form their opinion largely based on whether you’ve conveyed the cinematic experience, clearly and confidently, on the page.